The tribe in the island is already out of meat. Then one day these savages saw the monkey, the last piece of meat in the island. Help the monkey survive and not get eaten by these savages! 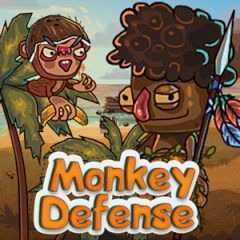 Unlock all the weapons and upgrades to help monkey in protecting itself from the hungry tribe!